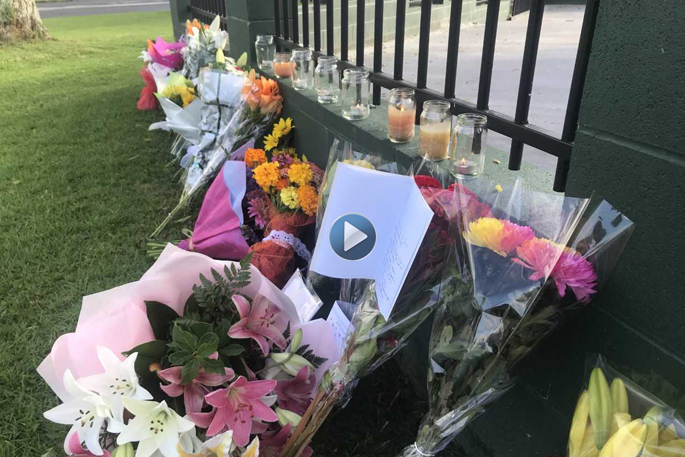 Flowers and messages have been left outside the Tauranga Mosque on 18th Ave. Video and Images: Rosalie Liddle Crawford. 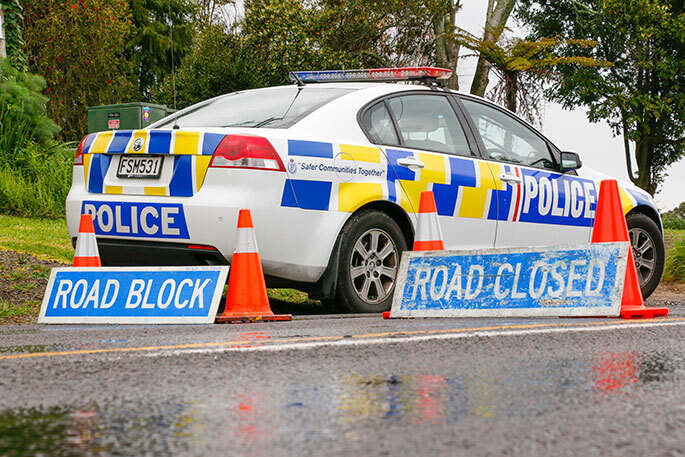 As people around the country, come to terms about what has happened in Christchurch, back here in Tauranga, people are visiting local mosques and are planning vigils. 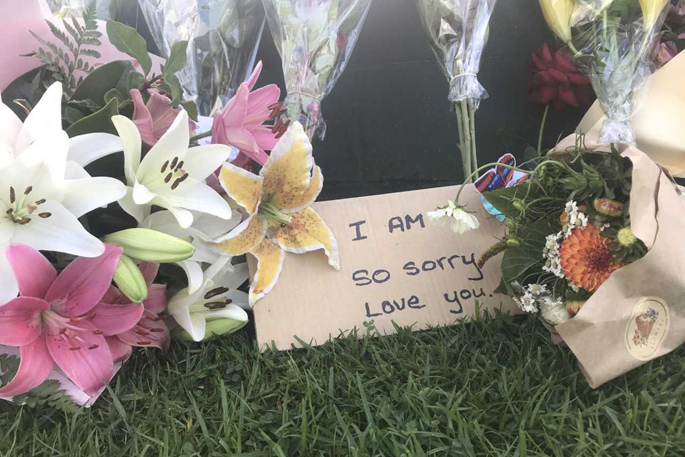 Many people across Tauranga have been arriving at the Tauranga Mosque on 18th Ave this morning with flowers, in an outpouring of love and support for the Muslim community and to express their grief and sorrow at the shootings in Christchurch. Each person walks forward solemnly, lays their flowers along the fence line, and then steps back with head bowed for a few moments of silence. 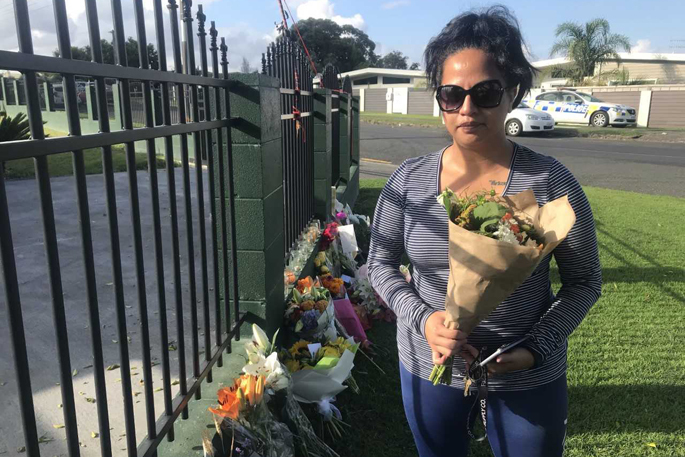 “I was at the Tauranga Farmer’s Market getting fruit and vegetables, and got flowers too to bring down to the mosque,” says Shekira Parata. Shekira Parata with flowers. She also brought McDonalds for police at the Tauranga Mosque. Local residents Savannah Sandlant, Gabrielle Wood, and Clare Morris are organising a vigil for tonight. Savannah says it’s a get together of people who are heartbroken by yesterday’s events, people who can’t comprehend it, people who have been directly affected, and just anyone who wants to show their support to the Muslim community. 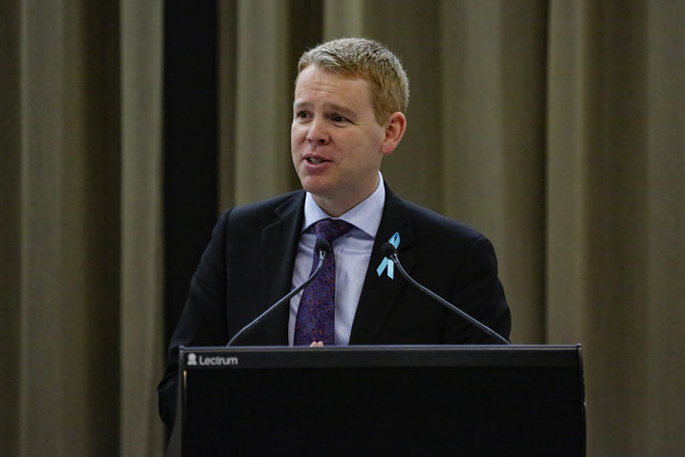 “As everyone keeps saying, nobody thought this would happen here. “It’s all been rather spontaneous, but things are coming together as more and more people see the event. 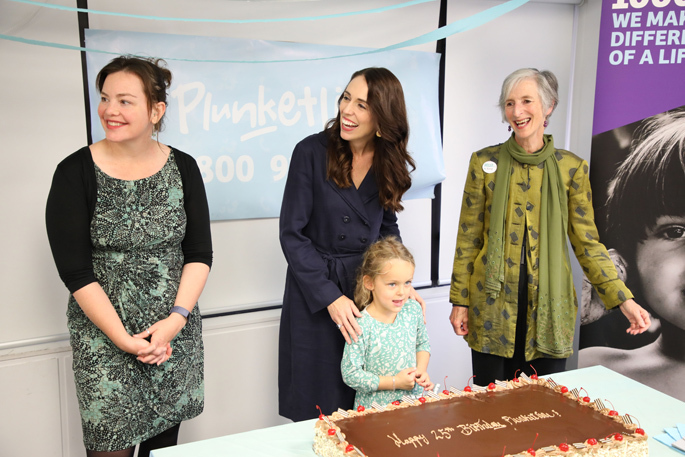 “We’ve been contacted by a choir to come along and sing, and there has just been so much love, people really want to do something, anything they can to show their support for the Muslim community and those affected. “Anyone is welcome to come along and show their support. The vigil is planned to take place tonight at Mount Main Beach, in front of Leisure Island at 7pm. Savannah says to bring anyone you know who wants to show their support. “We would love it if people brought songs or prayers, words of love and support, megaphone, microphones, or speakers if you have them. An event page has been set up on Facebook and updates will be posted there throughout the day.